mp3DirectCut for Windows XP - a program for recording and converting audio data without intermediate decoding of files. The application contains tools for fragmenting and combining tracks, adjusting the volume and attenuation parameters, allows you to change the playback speed, write sound from line in sources or microphones. 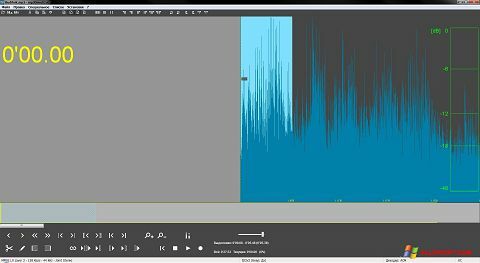 The utility uses Lame codecs to save finished tracks, includes visualization tools with the ability to scale, can extract audio track from dvd containers. The program has a functional tag editor, supports unicode, and can be controlled from the command line. You can free download mp3DirectCut official latest version for Windows XP in English.